Cape Town – There’s enough reason to suspect the true reason why President Jacob Zuma is delaying the Financial Intelligence Centre Amendment (Fica) Bill is to facilitate continued money laundering, said Sipho Pityana, convenor of Save SA. Speaking to Fin24 on the sidelines of a function hosted by the Cape Town Press Club, Pityana said the reason advanced by the president, namely whether the matter of warrantless searches is constitutional, is baseless. “That was investigated and there’s case law (on the matter of warrantless searches). It’s inconceivable that the state law advisers who advise him on these matters and the constitutionality of the law would not have drawn his attention to the fact that the courts have already taken a view on it. There’s no basis to send this bill back on those grounds." 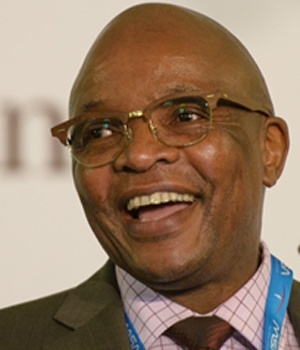 In his speech earlier Pityana, who is also chairperson of both AngloGold Ashanti Izingwe Capital, said he hopes Cabinet will ask hard questions at Thursday’s lekgotla, such as why the FIC Bill was sent back on the “flimsiest of grounds”. Since Zuma has referred the bill back to Parliament, another round of public hearings has taken place where three members of senior legal counsel concurred that the reservation cited by Zuma was indeed constitutional. It was however recommended that the specific clause in the bill that deals with warrantless searches be tightened to reduce the scope for constitutional challenges. Asked about the president and the ANC’s recent pronouncements that the economy needs to be changed from a purely capitalist one to a developmental state-interventionist economy, Pityana conceded that the country hasn’t made enough progress to address issues of economic justice, marginalisation and inequality. “It seems that we have a president who has made radical pronouncements in respect of these things and who has done nothing about it. It would not be the first time that he projects himself as being a radical transformation proponent,” Pityana said. “The fact of the matter is, if you compare the things he’s been saying with the things that have happened it’s chalk and cheese. It seems to me he’s borrowing from his Zimbabwean counterpart President (Robert) Mugabe. Asked about his views on the leaked interim report by the public protector on an apartheid era bail-out for Absa which had bought embattled Bankorp, Pityana said the leaks that come from her office are “unhelpful”. “The reason is people debate and deliberate on things as if they’re findings. Until we have the final facts of the story it would be premature to comment,” Pityana said.